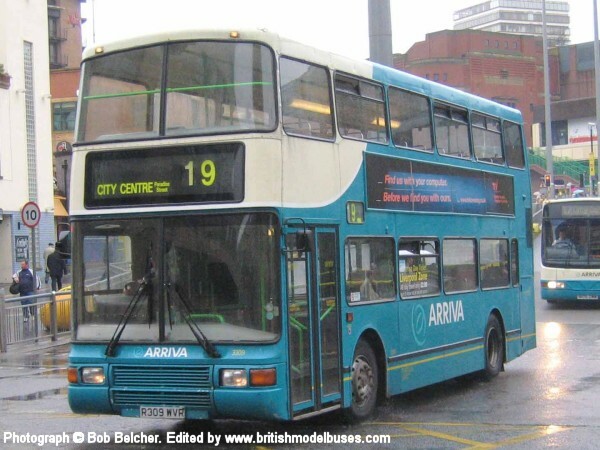 This photograph was taken on a torrentially wet day in central Liverpool on 12th October 2005 and shows R309WVR. 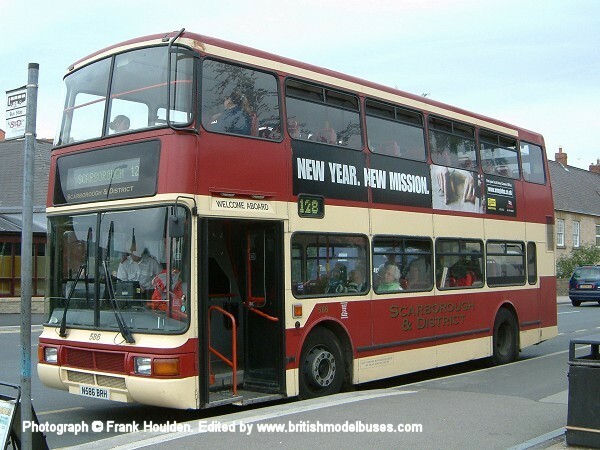 This is the actual vehicle but in the livery of MTL North represented by Corgi OOC model 43611. 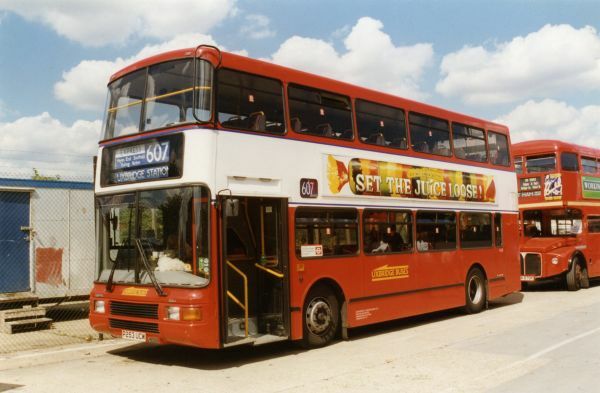 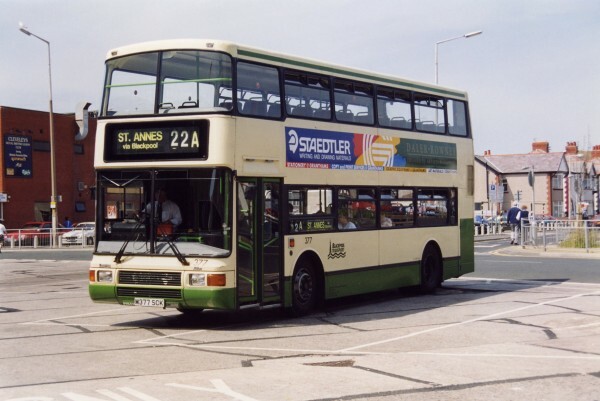 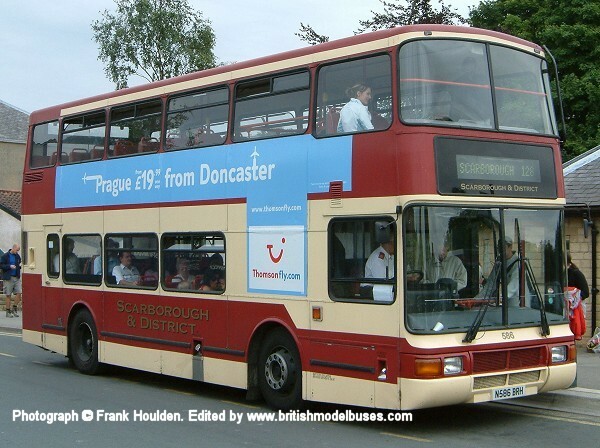 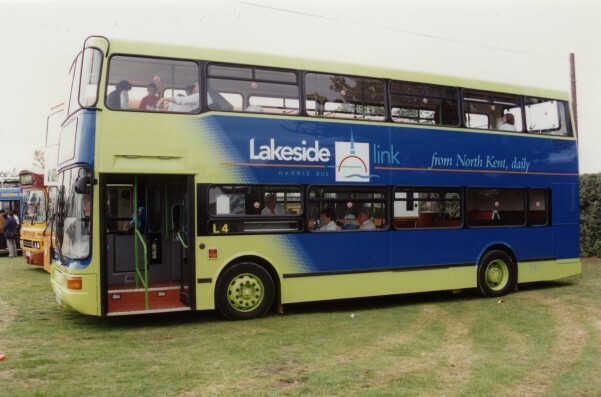 This photograph was taken in Blackpool on 30 May 2003 shows fleet number 375 (M375SCK). 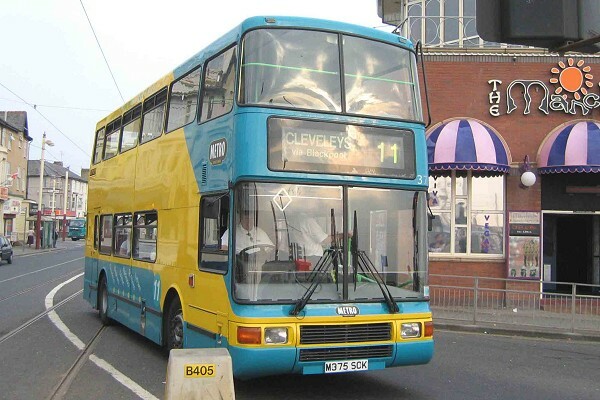 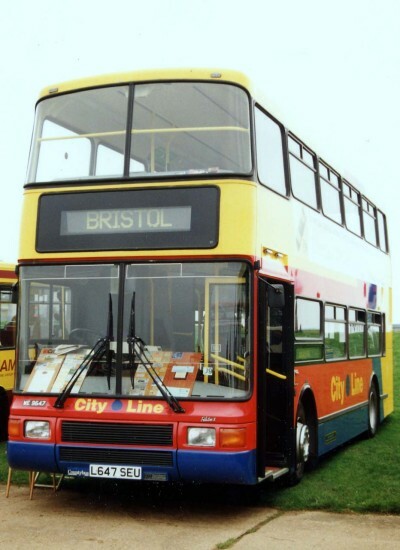 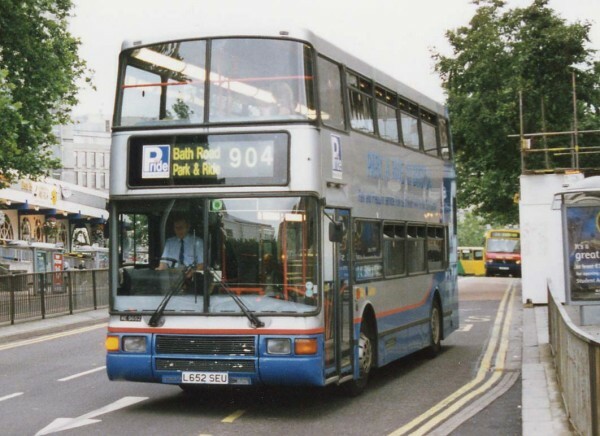 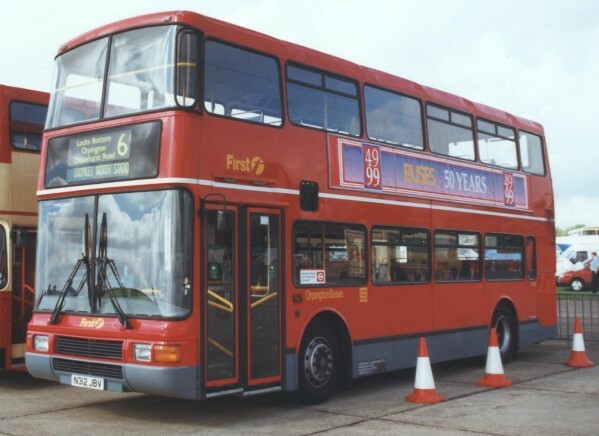 This is the actual vehicle which in standard Blackpool Transport livery is represented by Corgi OOC model 43601. 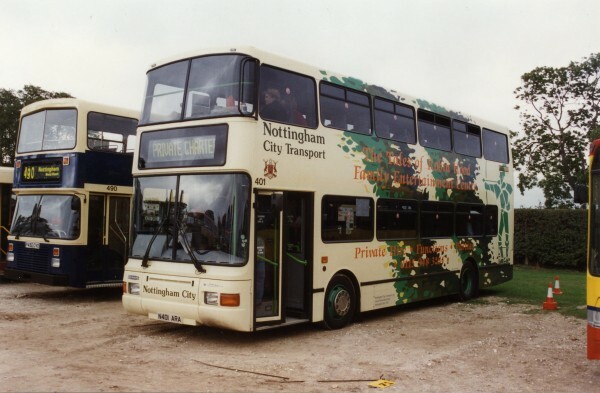 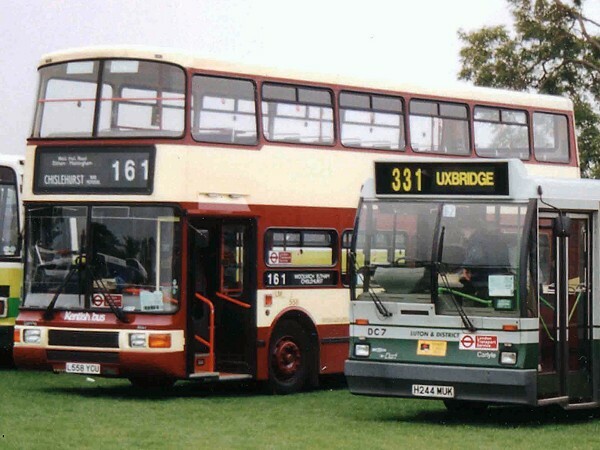 Sister vehicle fleet number 374 (W374SCK) was represented in this livery as Corgi OOC model number OM43603. 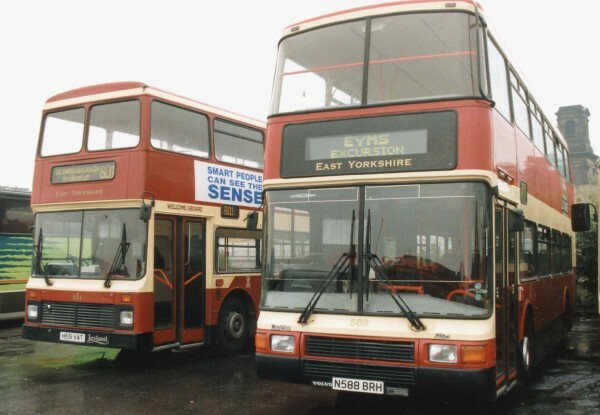 This photograph taken in the summer of 2005 at Pickering and shows fleet number 586 (N586BRH) displaying the EYMS "Scarborough & District" fleet name. 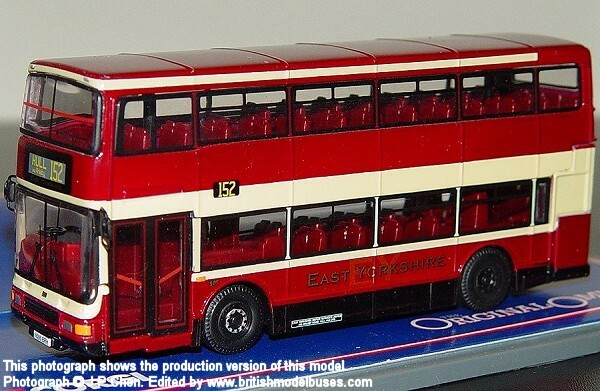 This is the actual vehicle represented in EYMS livery by Corgi OOC model 43607.